Make a Personal Breakthrough by Running at "Level 10"
There is no substitute for consistency and hard work in distance running. The reality is that it takes a lot of time and effort to reach your God given potential. Once you have put in the time and work however, there is one simple strategy that helps create a major breakthrough. Like most breakthroughs in life, the answer to getting better in any area is usually simple, straightforward, and right in front of us. This past cross country season, the high school team I coach focused a lot of time and effort on defining what it means to give a “10” effort on the cross-country course. On a scale of 1-10, 10 being high, the goal was to race at a 10 mentally, especially in important races. Most people think they are running at a 10 when in reality they are giving an 8 or 9 effort. There is always more in the running tank. The challenge is tapping into your reserves and truly running at an effort of “10”. There is a lot of research out there that is pretty clear that we can always give more effort than we think we can. 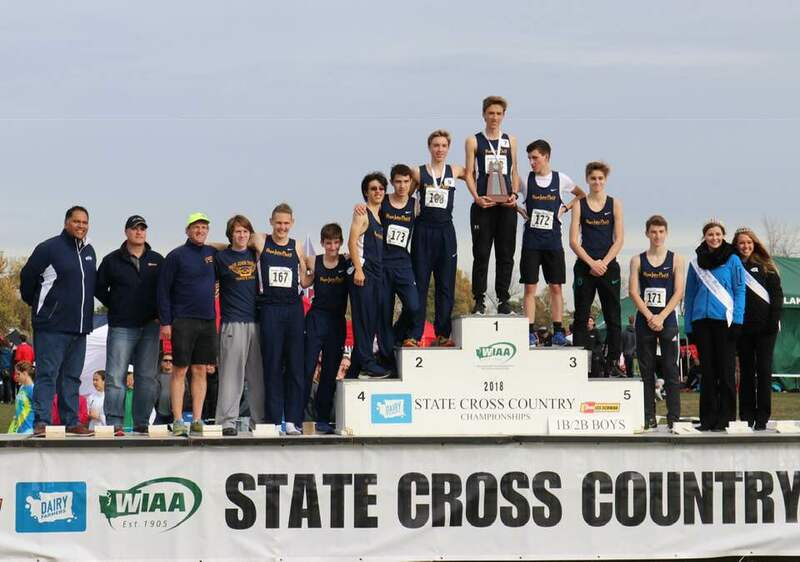 Giving more than ever before happened to the team I coach (Pope John Paul II High School) at the 2018 Washington State High School Cross Country Championships. As a group, our team ran at a level “10” finishing ahead of a team that was 162 points ahead of them in the Athetic.net rankings (for our readers outside of the United States, Athletic.net is the main database of race results for teams and individuals in track and field and cross country). Now, team rankings are just a projection and subject to error. However, 162 points is a large margin even if you allow for multiple errors in ranking projections. The primary reason why our team had their best race when it mattered the most is attributable to their level “10” mental attitude. They were blessed to “peak” mentally as well as physically at the right time. The Pope John Paul II team recorded their highest finish ever at the 2018 state cross country meet. Much is written about physical peaks in endurance running, but far less is written about mental peaks. Peaking at the right time mentally requires a perceived effort of 10, not an effort of 8 or even 9. As the late Steve Prefontaine once said, “to give less than your best is to sacrifice the gift”. Running at level "10" is another way of saying the same thing. Find ways to get to a “10” mentally in your race and you'll experience a personal breakthrough in you’re running career.